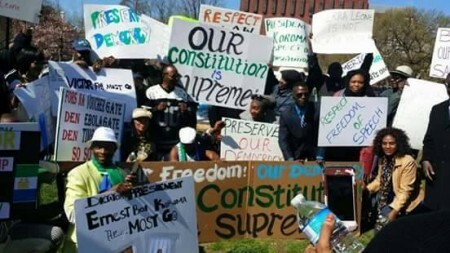 A BIG THUMBS UP TO OUR BROTHERS AND SISTERS IN UK FOR STANDING UP TODAY TO DEFEAT UNCONSTITUTIONAL ORDER, DICTATORSHIP, AND CORRUPTION IN SIERRA LEONE. THE BIG DAY, APRIL 11 PROTEST IS COMING TO WASHINGTOND DC LAFAYATTE PARK. 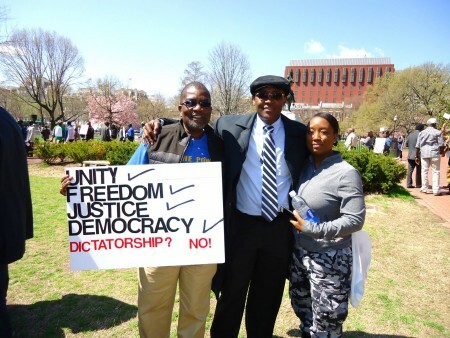 PLEASE JOIN US. 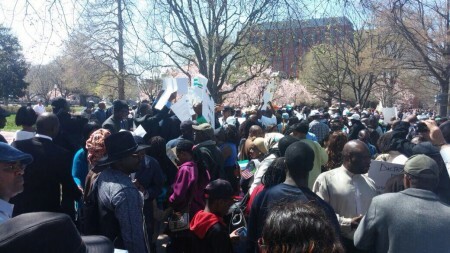 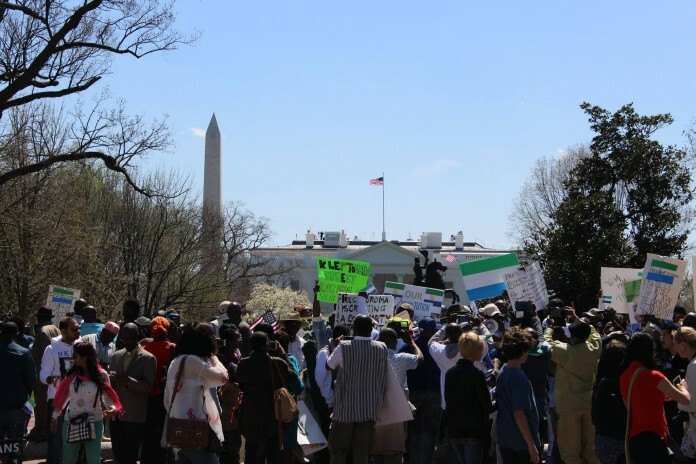 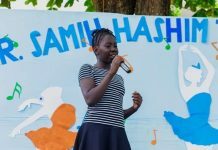 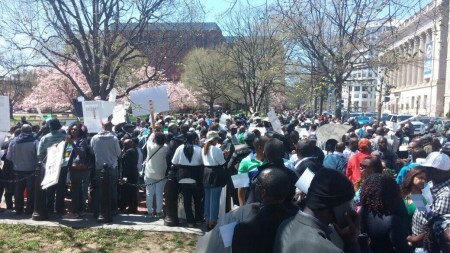 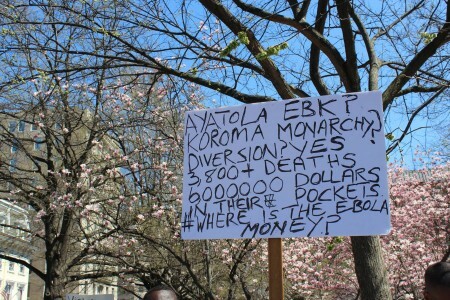 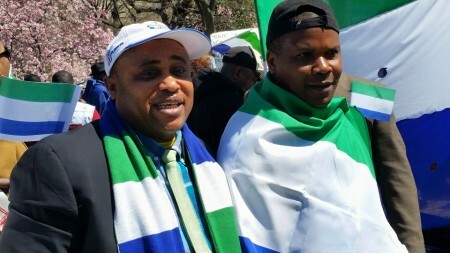 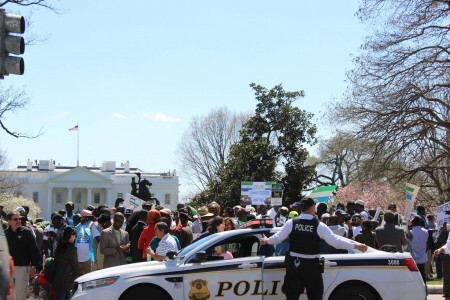 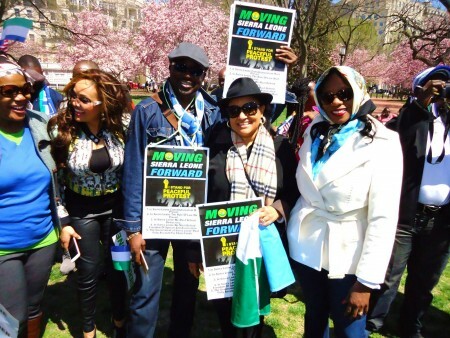 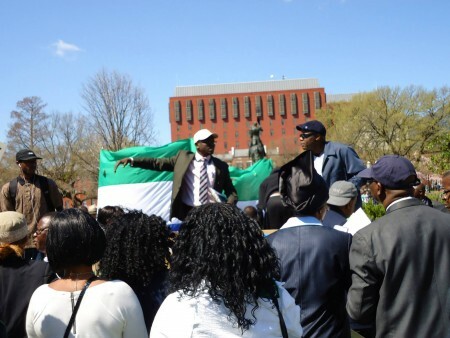 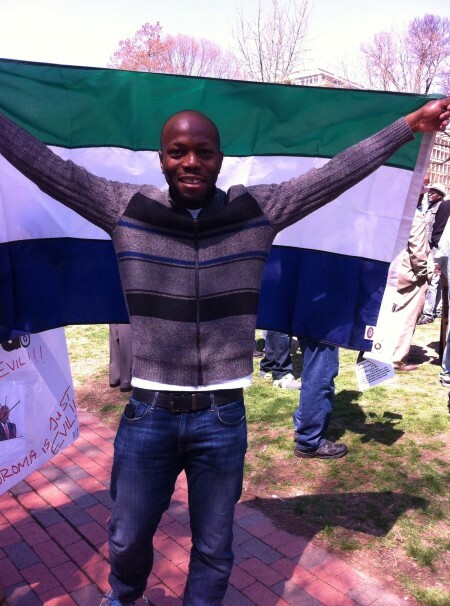 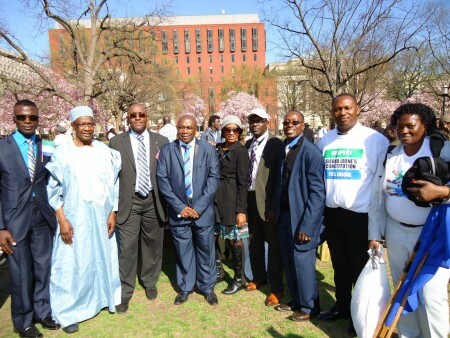 On Saturday April 11th a large group of Sierra Leoneans coming from as far away as New Jersey, Massachusetts, and Ohio gathered at LaFayette Park in front of the White House in Washington D.C. to protest what they say is the abuse of Sierra Leone’s constitution. 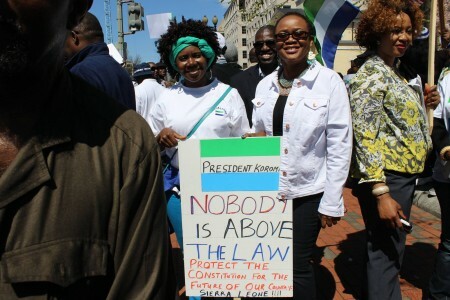 The cross section of protesters included members of the Kono Progressive Union, supporters of the SLPP and APC party and Sierra Leonean citizens with no political affiliation. 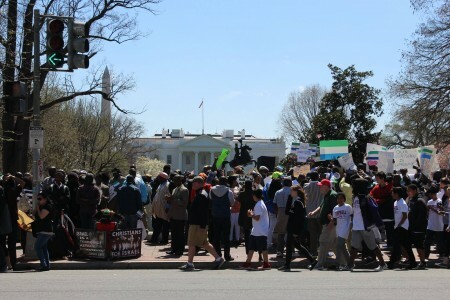 The protest in DC was preceded by a similar protest in London that took place on April 9. 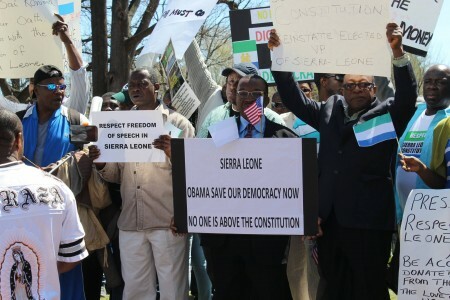 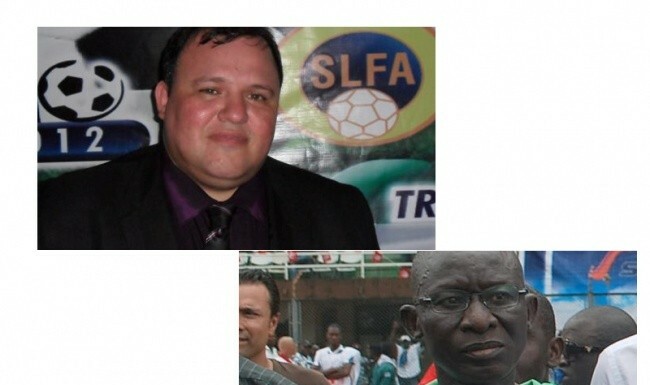 These protests are a first of their kind in Sierra Leone’s recent post war history. 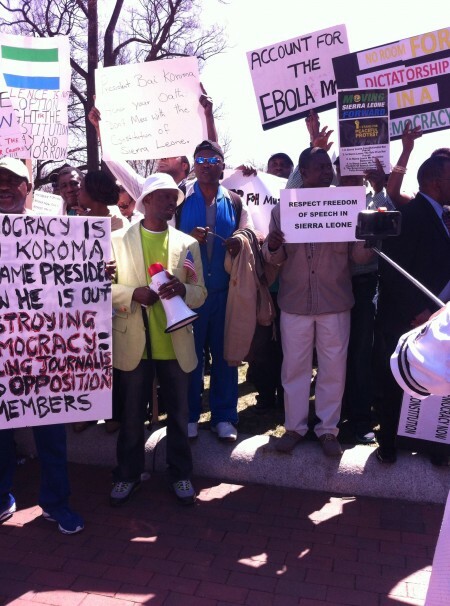 PURPOSE: In response to the recent Ebola funds mismanagement audit report and the abrupt UNCONSTITUTIONAL removal/attempt to remove the elected vice president of Sierra Leone by President Ernest Bai Koroma, we urge all Sierra Leoneans, natives of Sierra Leone, and friends of Sierra Leone to join us in a peaceful rally to plead to the United States Government and Congress to intervene and help protect and preserve Sierra Leone’s FRAGILE PEACE and YOUNG DEMOCRACY. 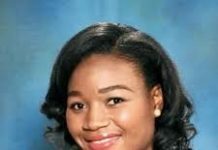 Previous articleSierra Leone Weddings: Model and designer Kadiatu Kamara is married!